Upsets in the NCAA tournament are the heart of March. Everyone loves ‘em, except for the upsetees, who quickly discover that such moments are seldom like castor oil. The bad taste does not quickly go away. You know the tournament has truly started when things start happening that, on paper, aren’t supposed to. A Minnesota team averaging five 3-pointers a game buried 11 of them – two by Jordan Murphy, who had six all season. A freshman averaging under 10 points a game, Gabe Kalscheur, scored 24. An offense averaging 12 turnovers committed only five, and went 26 minutes without any. Minnesota pulled this off without one point from its reserves, getting outscored 29-0 in bench points. Somewhere in Greece, there’s a happy father. Leaving aside the fact Rick Pitino’s career blew up in Louisville, that was his son getting his first tournament coaching victory. It was only the Gophers’ second NCAA win since their 1997 Final Four, and put them on the path to a possble second round all-Big Ten match with Michigan State. And it left Gabe Kalscheur the most famous product of Edina, Minn., since Kirby Puckett. Louisville’s revival is a work in process – the Cardinals have won one NCAA tournament game in four seasons. Murphy on the Gophers: “I think there are very few teams that can stop us, and you saw that today. Two words will explain. Actually, only one. Ja. Now, even more of the nation knows what the fuss has been about. Ja Morant’s 17 points, 16 assists and 11 rebounds formed the first triple-double in the tournament since Michigan State’s Draymond Green seven years ago, which was bad news for Marquette. More bad news, Morant wasn’t alone. Well-fed by their spectacular guard, three other Racers scored in double figures. Maybe the most amazing part was how Morant owned the stage and the moment, and took only nine shots. Markus Howard’s 26 points for Marquette were the proverbial spitting into the winds of Hurricane Ja. It’s a more entertaining tournament with Morant in it, and now we know there's at least one more act. Next, let’s see what happens against one of the ACC meanies, Florida State. Also, the trouble-making reputation of No. 12 seeds was enriched a little more. This is the 41st year of seeding – and the 33rd year at least one 12 seed has won a game. Meanwhile, put Marquette’s mashing next to what happened to St. John’s at the First Four, and that’s a bleak start in this tournament for the Big East. This story will continue to be updated throughout the tournament. Marquette coach Steve Wojciechowski on his team’s defensive game plan: “Ja Morant makes a lot of plans look bad. I’ve been in this for a while. He’s as good as any guard I’ve coached against, or played against, and I’ve coached against and played against some outstanding ones." The Florida defense has spoken. Again. The Gators held 11 major college opponents at least 19 points under their average during the season, and on Thursday, nothing had changed. Nevada came in scoring 80.7 points a game, but the Gators hit the mute button. The Wolf Pack shot 34.5 percent, missed 19 of their 24 3-pointers, and managed only 19 field goals. That’s how a team could dominate rebounding 40-31, not allow a single fast break point, and still lose. Nevada had its customary second half charge, cutting an 18-point Gator lead to two, but Florida had the poise to go with the defensive muscle. That mini-slump at the end of the season for Florida – the Gators dropped four of their last six – turned out to be nothing but a head cold. Defense got them here, defense may get them further. For all those Nevada seniors who were in the Sweet 16 last March and came back to do it again, this was not the way it was supposed to end. Nevada senior Cody Martin on his feelings: "I would say more irritating than anything, just because there was a lot of goals that we wanted to accomplish that we didn't meet. You kinda just gotta live with that." Hard to hold back a team that shoots 65 percent the second half, which is what Iowa did. But there was no clue of that early, when Cincinnati sprinted out to an 18-5 lead and had the semi-home crowd in Columbus, Ohio roaring. Three things sent the game into a U-turn. The Bearcat offense never seemed to adjust when the Hawkeyes changed to a zone. Cincinnati had no answer for Luka Garza, who scored inside and out and finished with 20 points. And Iowa’s feared 3-point game arrived in the second half, the Hawkeyes making seven of 11 after halftime. About that 2-6 tailspin Iowa went into at the end of the regular season. Never mind. The Big Ten answered the NCAA Tournament bell in a big way; this made the league 6-0 in the first round. Meanwhile, playing so close to home didn’t help Cincinnati much. Iowa coach Fran McCaffery, on how to react to such a bad start. "I think the most simple approach is -- it was 35 minutes to go, so no time to panic . . .We made some adjustments, we changed the defense, we changed some personnel a little bit. You start pushing some different buttons. But I think the critical thing is that the players maintained confidence. You don't start screaming and yelling at them." McCaffery on dealing with Cincinnati's home crowd advantage: "The critical thing is to know and understand what do we have to do to beat Cincinnati, what do they do well, what can we take away, what can we do to exploit them? And not worry about who's in the 15th row yelling, for one team or another." Cincinnati coach Mick Cronin: "We're not going to win when we give up 79 points. I don't remember the last time Cincinnati won a game where we've given up 79 . . . They put 40 minutes of offensive pressure on your defense. At the end of the day, our defense wasn't good enough today. Kansas State seemed vulnerable at the start, facing one of the nation’s best defenses without injured star Dean Wade. It showed. The Wildcats shot 37 percent, and though they led by 10 in the first half and were in front for 25 minutes, the Anteaters owned the stretch. They got 19 points from Max Hazzard, grandson of the late Walt Hazzard, who helped John Wooden to his first national championships. Kansas State leading scorer Barry Brown Jr., who missed time with foul trouble, was held to five points and 2-for-9 shooting. UC Irvine is fifth in the country in field goal percentage defense, so this was not exactly out of character. The moment it happened, it became the biggest upset -- seed-wise -- of the tournament so far. UC Irvine made its first NCAA Tournament appearance four years ago and just missed against Louisville 57-55. The Anteaters weren’t going to a victory slip away this time. They’ve won 31 games this season, 17 of them in a row, and since the Big West tournament started, have outscored four opponents 156-76 in the paint. This is no fluke. Talk about your mood killer for Kansas State, after sharing the Big 12 season title. Oregon’s defense. Oh, and Oregon’s offense, too. Wisconsin was stifled, but that’s become a common lot these days. The Badgers became the seventh of the Ducks’ last nine opponents held to 54 points or under, with Kenny Wooten blocking four shots. But the day was just as bleak at the other end for the Badgers. While Wisconsin was shooting 33 percent for the game, it was being shredded in the second half by Oregon’s 70.8 percent onslaught. The Ducks took 24 shots in the second half and missed only seven. Oregon has become a defensive monster. Four weeks ago, the Ducks were in 10th place in the Pac-12 and had just given up 62 points in the second half to UCLA. In the nine wins since, only one opponent has managed to score that many in an entire game. What a defy-the-odds second round game has been created. No. 12 seed Oregon against No. 13 UC Irvine. Wisconsin’s loss ended the Big Ten first round winning streak at six. And Ethan Happ’s career ended quietly with 12 points, eight rebounds and no assists. All seemed well for Mississippi State with seven minutes left, and a 10-point lead. Then the Bulldogs suffered an attack of Caleb Homesley. He scored 22 of his 30 points in the second half to keep the Flames lit, but it was a 3-pointer taken from the next zip code by Lovell Cabbil Jr. with 1:16 left that gave them the lead for good. They finished the job by refusing to miss free throws. Meanwhile, Mississippi State’s offense was crashing. The Bulldogs missed 10 of their last 11 shots. Beware No. 12 seeds. We’ve heard that for years but never was it more vivid than 2019. Liberty’s win made the No. 12’s 3-1 against No. 5 seeds in the first round. Had New Mexico State found one more basket against Auburn, it would have been a four-game sweep. For Mississippi State, the first trip to the NCAA Tournament in 10 years ended too quickly. It wasn’t settled until Iowa State’s last 3-point attempt clanged away in the final seconds. Ohio State advanced without a lot of depth – outscored 26-4 in bench points – and despite shooting under 40 percent. The Buckeyes lost a late seven-point lead, but Kaleb Wesson and Keyshawn Woods got them through. Wesson scored 15 of his 21 points in the second half, Woods seven of his 19 in the last 3:08. Iowa State fell despite shooting nearly 58 percent the second half. All hail, the Big Ten. Eight teams in the tournament, seven playing on the weekend. This also makes Chris Holtmann 5-0 in the first round at Butler and Ohio State. The Buckeyes’ late-season woes -- a Wesson suspension, seven losses in their last 10 games – seem a long time ago. Iowa State was coming off winning the Big 12 tournament. So much for momentum. Whoooosh. That was Auburn. The Tigers are the nation’s most fearless up-tempo bombs-away team, setting an SEC record for most 3-pointers in a season, and by the time they were done routing North Carolina with 17 of them – tied for second most ever in a regional game -- their total for the year was 438. That tied 2009 VMI for the third most in NCAA history. And they figured to have many more to take. Eight different Auburn players hit at least one 3-pointer in this fireworks show, six scored in double figures, and the Tigers had 21 assists. When they banked in a shot in the second half from way, way out front, the Tar Heels had to know they were in trouble. 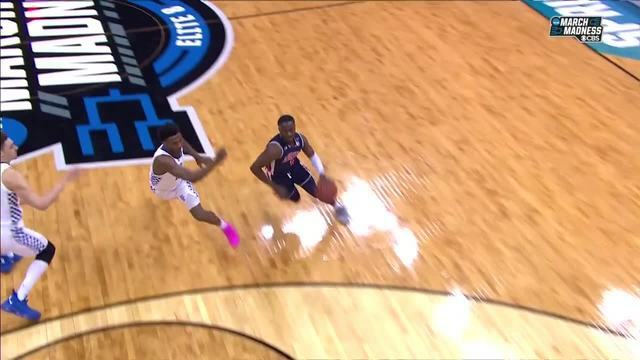 It didn’t help North Carolina that season leading scorer Cameron Johnson and tournament leading scorer Nassir Little both had 100-degree temperatures Thursday. 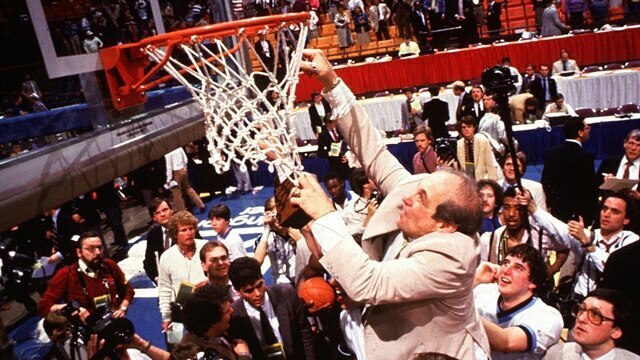 Thirty-three years ago, Auburn made its one and only appearance in the Elite Eight. Until now. The Tigers have turned into a gale force blowing through the month, moving to 10-0 in March, with the SEC tournament title included. And they seem to be on a blueblood bludgeoning tour, beating North Carolina by 17 six days after whipping Kansas by 14. One Auburn cloud over the win was Chuma Okeke leaving with a knee injury after 20 points and 11 rebounds. The Tar Heels were first in one area they’d much rather not – the first No. 1 seed to lose. Emotion, and two unstoppable guards named Jared Harper and Bryce Brown. Harper had 26 points and Brown 24, including 35 of the Tigers' 47 after halftime. Auburn wiped away an early 11-point Kentucky lead, fought to a tie in regulation, then put away Kentucky with 17 points in overtime. The Tigers got a huge emotional push at the sight of Chuma Okeke behind the bench in the second half. Okeke had torn his ACL two days before in the semifinals, and his teammates made his misfortune their win-one-for-Chuma cause. The Wildcats didn’t help stem any of that karma by going 12-for-21 at the free throw line or 5-for-21 in 3-pointers. First, history. This ain't football. Auburn had never been to the Final Four, and this was only its second regional title game ever. Also, it gave the Tigers a victory lap through a pack of heavyweights, by beating Kansas, North Carolina and Kentucky on their way to the Final Four. Before this tournament, those three had been to a combined 52 Final Fours, Auburn none.